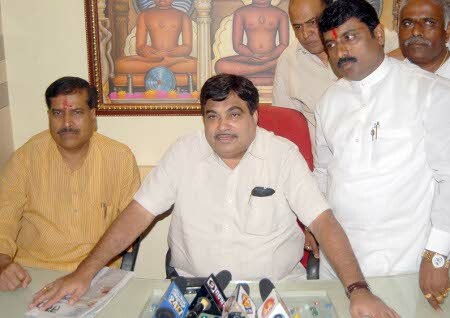 BJP national president Nitin Gadkari made a flying visit to the city. He had press conference at Mla Sanjay Patil’s residence and later went to Kolhapur. 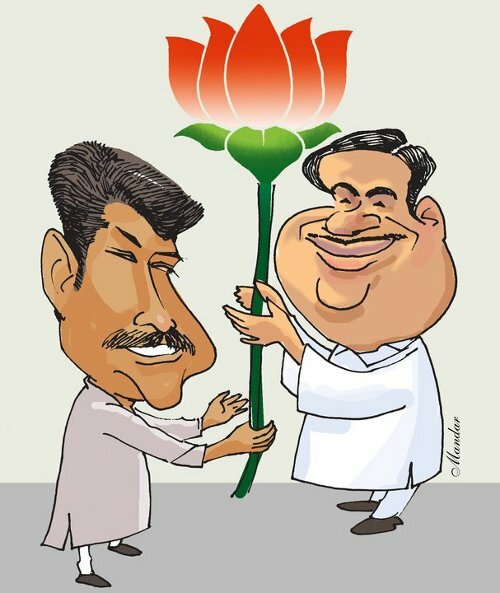 Mandar Jagtap a Freelance graphic designer at ocean graphics made this caricature of Sanjay Patil welcoming Nitin Gadkari to Belgaum. Bharatiya Janata Party’s national president Nitin Gadkari here, said that India is one country and we will remain one. On the issue of his party MLAs in the state were being alleged of illegal mining, Gadkari as anyone else said that BJP believes in law and the Lokyukta. On the border dispute, Nitin Gadkari on a cautious note said that Manmohan Singh should take a lead to solve the dispute with the two states. With this he also stated that both Marathi and Kannada speaking people should work together for development keeping aside all linguistic differences. He did not take any more questions on this topic saying the matter was in the Supreme court and it would not be good to discuss matters which are in the court. 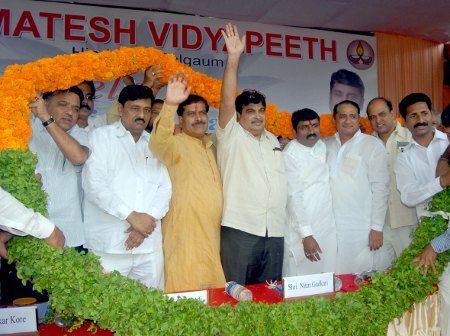 Later Nitin Gadkari gave a small speech at Gomatesh vidyapeeth where Chairman of Gomatesh Vidyapeet Sanjay Patil, MLA, Suresh C. Angai, M.P., former minister Shashikant A. Nayak and Mahantesh Kavatagimath, MLC were present. Among those were blatant by their absence were Abhay Patil, MLA and Prabhakar B. Kore, M.P.